We are thrilled to welcome world-renowned endocrinologist Dr. Yaron Tomer as the new university chair of the Department of Medicine at Montefiore Health System and Albert Einstein College of Medicine. Dr. Tomer brings an incredible array of skills and expertise to Montefiore. Learn More. 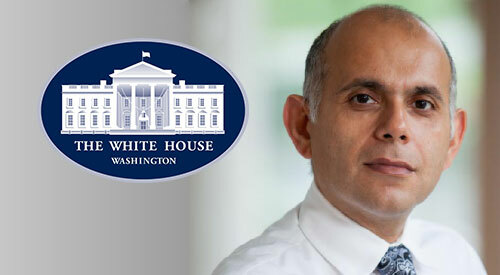 The White House recently invited Montefiore to participate in the Precision Medicine Initiative’s inaugural summit. Parsa Mirhaji, M.D., Ph.D., Director of Clinical Research Informatics at Montefiore and Einstein, was part of a roundtable discussion about improving healthcare delivery with the use of integrated data. Read More. In February, Montefiore and Albert Einstein College of Medicine hosted a medical symposium about healthy aging in Florida. Alumni board members, volunteers, current and retired faculty, donors, and friends in the community attended and enjoyed a relaxing and informative weekend together. Learn More. After touring the Children’s Hospital a few years ago, Barbara and Richard Naclerio were so inspired by the work of Dr. Oren Tepper and the Craniofacial Surgery Program that they quickly became loyal supporters of Montefiore. In honor of their generosity, we are proud to announce the recent dedication of the 6th floor waiting room of Plastic and Reconstructive Surgery at Montefiore’s Hutchinson Campus as the Barbara and Richard Naclerio Waiting Room. View Story. 18th Annual Golf Tournament and Dinner to benefit the Children’s Hospital at Montefiore (CHAM). Raising Funds and awareness for a variety of programs, causes and initiatives taking place at CHAM.